This page lists our motorcycle tire reviews, motorcycle wheel balancer reviews, tire pressure gauge reviews, tire changing tool reviews and lots more! Most riders don’t think about tires, yet tires are such a core part of the performance of a bike that they should be on riders minds. They affect every aspect of the bike’s performance, particularly grip and handling. An awesome set of motorcycle tires can make a decent bike feel great and conversely a poor set of tires can ruin the ride of a great bike. Tires matter a lot. When it comes to which tires should you buy for your bike you don’t need to look much further than your manufacturers recommended list. They know your bike so listen to their advice and buy the tires they recommend. Most manufacturers will recommend a handful of choices which is why we have reviewed some of the more popular aftermarket choices to help you choose between brands. If you’re not sure what size tires you need, check out our Motorcycle Tire Size Comparison Page Motorcycle Tire Sizes. We always get questions on tire pressures and recommend this nice article on the Mid-Atlantic Ducati club’s website regarding best tire pressures for motorcycles. For those who are adventurous and love DIY, check out our Adventures in Re-Spoking and Re-Building and Lacing Spoked Wheels. If you’re buying tires online, most manufacturer websites have tire selection tools to help pick the right tire for your bike as well as fitment tools. We always recommend just going to a tire place and having them do the work for you, it is easier, faster and probably safer. Avon, Bridgestone, Continental, Pirelli and Michelin are well known brands that most riders are familiar with. While we haven’t reviewed any Bridgestone’s we’ve sampled most of the other major brands. If you’re looking for vintage and classic tires try Maxxis and Coker.. Continental – motorcycle tires for modern and vintage bikes. webBikeWorld has worked closely with RevZilla over the years to provide our testers with products to review. In addition to being a great site to shop from, they’re also a great partner. Both Amazon and Revzilla have a big selection of tires from the great manufacturers. We have reviewed a lot of tires over the year at WBW so we know a thing or two about which the brands our editors love. We also see the analytics on the site so we know which brands get the more views and attention from our readers. Between consumer interest, our editor’s opinions and talking to our friends at RevZilla here are the most popular brands at the moment. 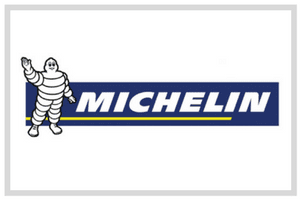 Michelin is the famous French tire manufacturer and one of the largest on the planet. Michelin participated in MotoGP from 1972 to 2008. They introduced radial construction to MotoGP in 1984, and multi-compound tyres in 1994. They achieved 360 victories in 36 years, and from 1993 to 2006, the world championship had gone to a rider on Michelins. That racing experience helps Michelin create great motorcycle tires. We love the sheer range of Michelin tires and the price points they reach. Helpful Links: Read Our Michelin Reviews. 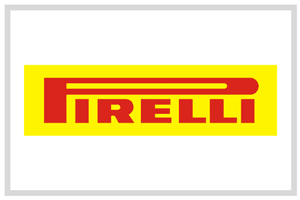 Pirelli Motorcycle Tires have a racing pedigree shared by few with the Italian company sponsoring racing since 1907. They are serious about all racing, being the exclusive tyre supplier for the Formula One Championship and for the FIM World Superbike Championship. Pirelli makes every kind of motorcycle tire you can imagine. From adventure tires to extreme enduro to racing tires for competition, they do it all. Helpful Links: Read Pirelli Motorcycle Tire Reviews. 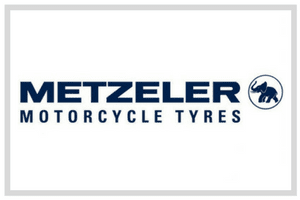 Metzeler is a German motorcycle tire company that has been producing quality rubber for over a century. Metzeler proudly employs primarily motorcycle riders who understand the demands of being on the road and put that knowledge into the design of development of all of their motorcycle tires. Metzeler motorcycle tires have a unique tread pattern and they use specific rubber that we’ve found lasts longer than other brands. Helpful Links: Read Our Metzeler Tire Reviews. 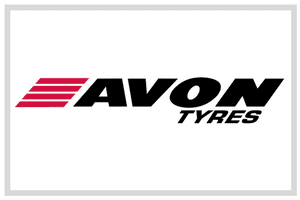 The UK founded Avon has been making tires since 1890. Avon makes some of the top motorcycle tires in the game. Helpful Links: Read Avon Tire Reviews. Lambrook Tyres (aka Classic Bike Tyres) has many different and hard-to-find tyres – tires for antique and vintage motorcycles; they carry some of the very old and rare tire sizes that are hard to find. Vintage Tyre Supplies (U.K.) has a large selection of tires, racing tires, wheels, tubes and accessories for vintage and antique motorcycles (Note: are they still in business?). Barum-Mitas vintage motorcycle tires in street and trials vintage treads; sizes 250×19 to 400×18 plus tubes; call Michael Cushion in Norwich, Norfolk at 01508 499718 (UK). Coker Tires has vintage motorcycle (and cage) tires. Goodtime Tire & Rubber – tubes; scooter and motorcycle tires. 21st Century Tires is an exporter/wholesaler for “Wanda” vintage tires in many sizes (including 3.25×18 for 1951 Indian Scouts!). Vintage Motorcycle Tires; in Japanese, but tire brands and models are in English. Try Vintage Tyre Supplies; they seem to have a collection of vintage tyres for motorcycles and automobiles. Cheng Shin is now Maxxis. 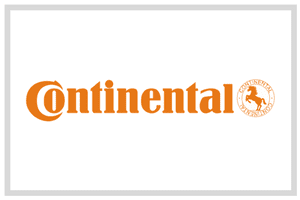 Continental – motorcycle tires for modern and vintage bikes. Universal Vintage Tire has motorcycle tires for vintage, classic and antique motorcycles. Antique Tyres (Australia) has tires for vintage and antique motorcycles. J&P Cycles has some tires for vintage motorcycles, including the Continental K112 and RB2, Dunlop D402, Diamond Tread by Coker in size 4.00×19, and Super Eagle replica tires. Watling Tyres classic and racing tires for motorcycles. 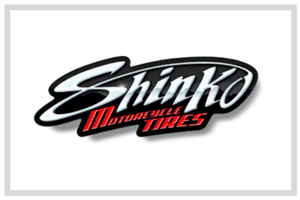 American MotoTire carries motorcycle tires and scooter tires by Avon, Bridgestone, Cheng Shin, Dunlop, GBC, IRC, Kenda, Maxxis, Metzeler, Michelin and Pirelli. Chaparral Motorsports has various brands and seems to be a nice place to do business with reasonable shipping and handling rates. Discount Motorcycle Tire – no longer in business. Island Racing Services is a Michelin tire specialist with motorcycle racing tires and expertise. Southwest Moto Tires sells tires at pretty big discounts and offers free shipping if you buy a pair; they get very good ratings from wBW visitors. SportBike Track Gear claims to have the “best” Michelin tire prices; they also claim all tires in stock, ready to ship. Tire Express is also popular with webBikeWorld readers. Tires-n-Stuff lists many tires by the motorcycle model, rather than size; they carry many original equipment tires. FWR claims to have “Britain’s Cheapest Tyres”; they sell Avon, Bridgestone, Dunlop, Metzeler, Michelin and Pirelli; also sprockets, chains and more. Motorcycle Tyres UK carries Avon, Bridgestone, Continental, Dunlop, Metzeler, Michelin and Pirelli. Tyresonline.net aims to “provide the cheapest possible prices on new tyres” with special deals on front/rear pairs of motorcycle tyres. AmericanMotoTire carries motorcycle racing tires by Avon, Bridgestone, Dunlop, Metzeler, Michelin and Pirelli | Bare Bones carries Bridgestone race tires and slicks. Goodtime Tire & Rubber – tubes; scooter and motorcycle tires. Heidenau Tires in Germany IRC Tires. Italian Classic Tires has new tires for vintage bikes using old-school tread patterns. Kenda Tires. Mefo Tires in Germany (another “nobody ever heard of them so they must be good” brand). Mitas Motorcycle Tires are made in Eastern Europe and the U.S.A. Mitas motorcycle tires are available through MX1 in Canada.